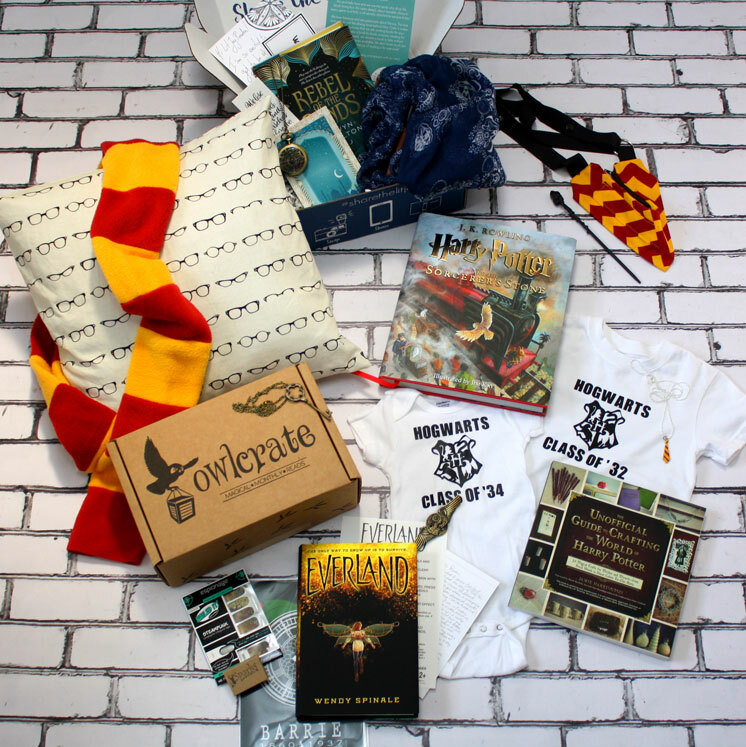 Every year during the Happy Harry Potter series I think it’s the BEST we’ve ever had and every year my amazing creative friends take it to a whole new level of awesomeness. How fabulous are the Day 5 features? 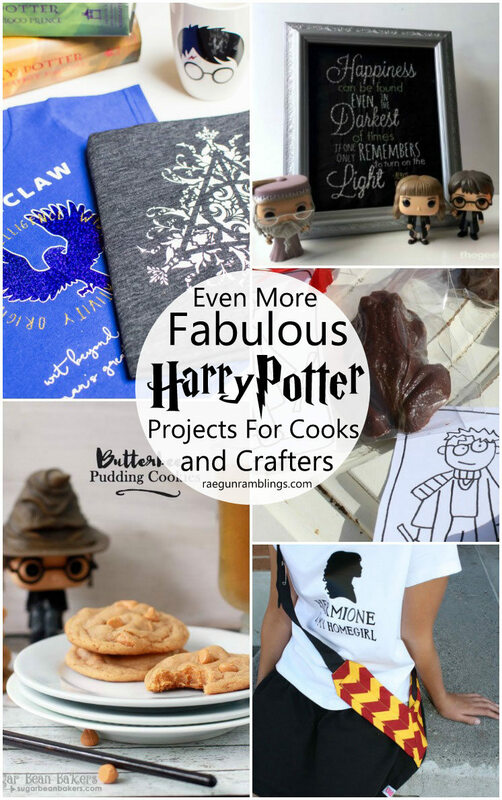 So many great Harry Potter projects to cook and bake right here. I need to make them all! 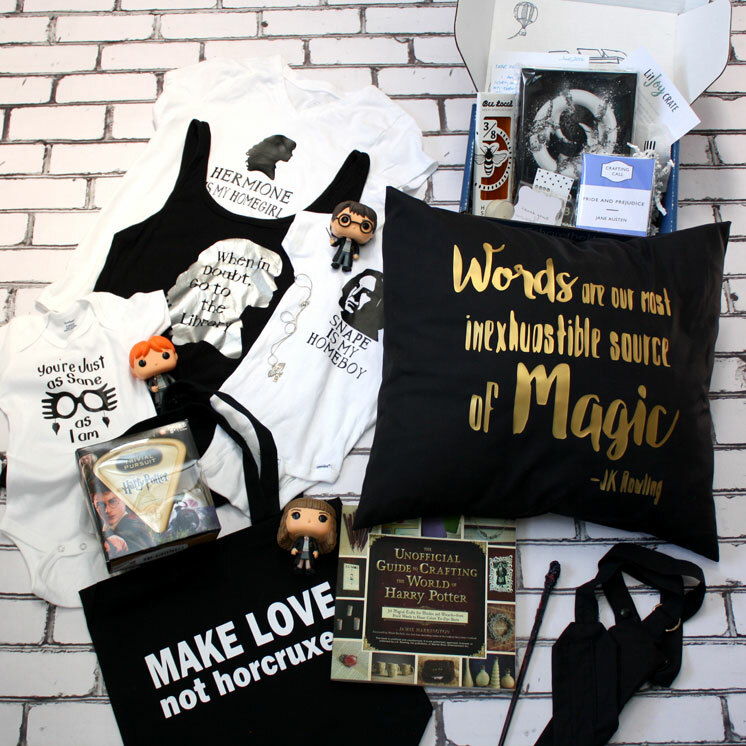 I’m drooling over these Harry Potter shirts they are so amazing I am so making myself BOTH of them. 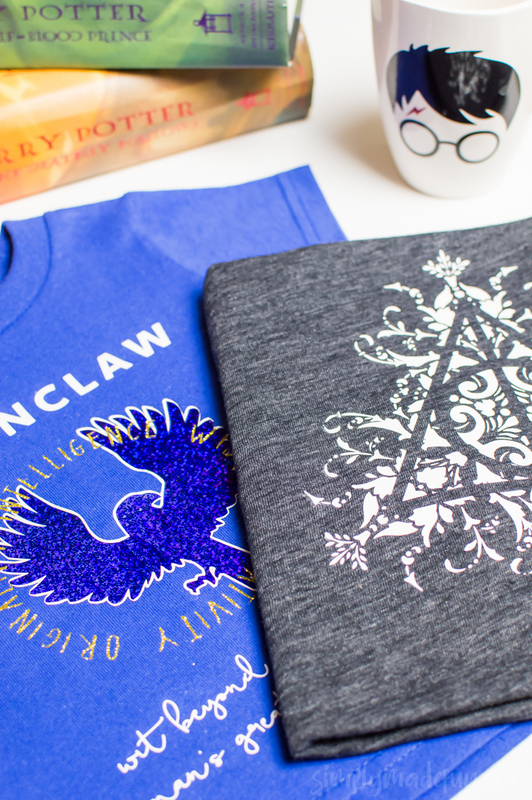 Teresa from Simply Made Fun had made a a cinch to make your own DIY Ravenclaw shirt with a downloadble file you can use on your cutting machine! Do you guys know Tina from Sugar Bean Bakers? 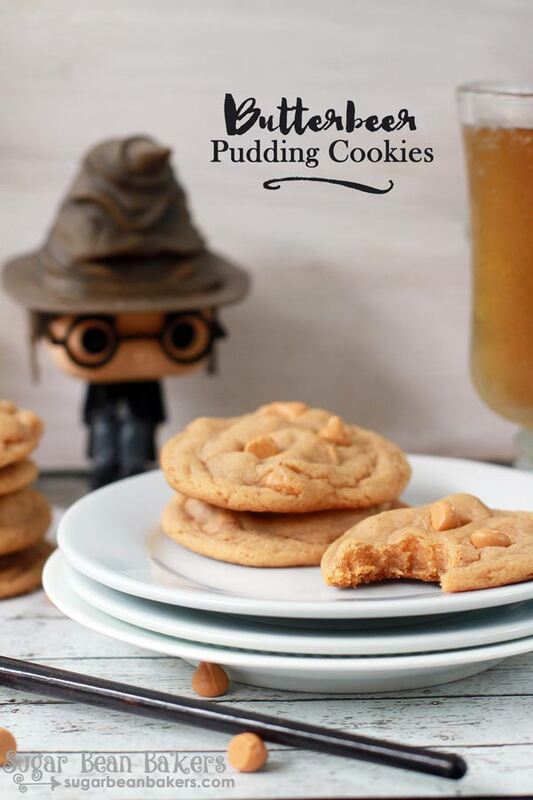 She’s just as much a Harry Potter freaks as me so it should surprise me at the awesomeness that she comes up with every year but I mean Butterbeer Pudding Cookies!? I think she may have outdone herself. Sheesh they look ah-mazing. 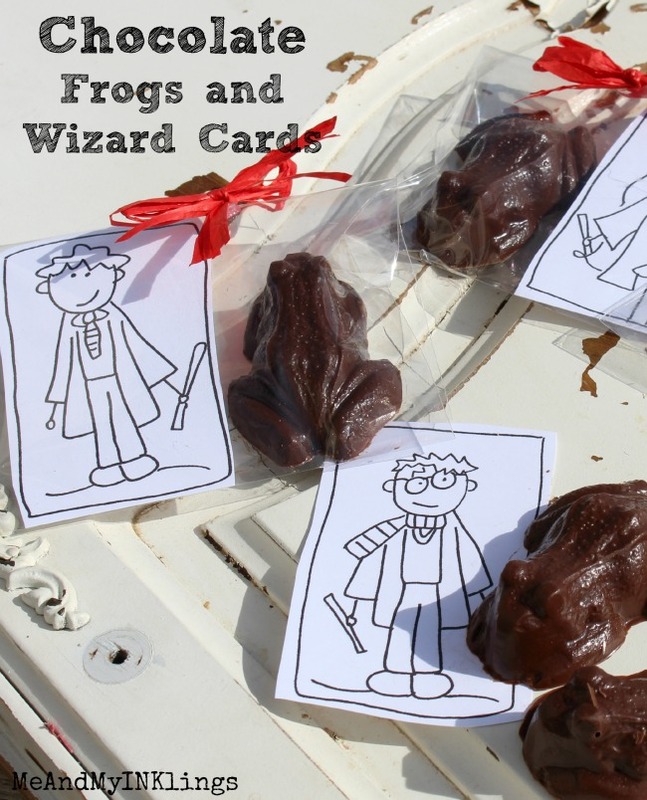 Would a Harry Potter celebration be complete without some Chocolate Frogs and Wizard Cards? I think not! Learn how to make these cuties and grab the free printable from Laura from Me and My Inklings! 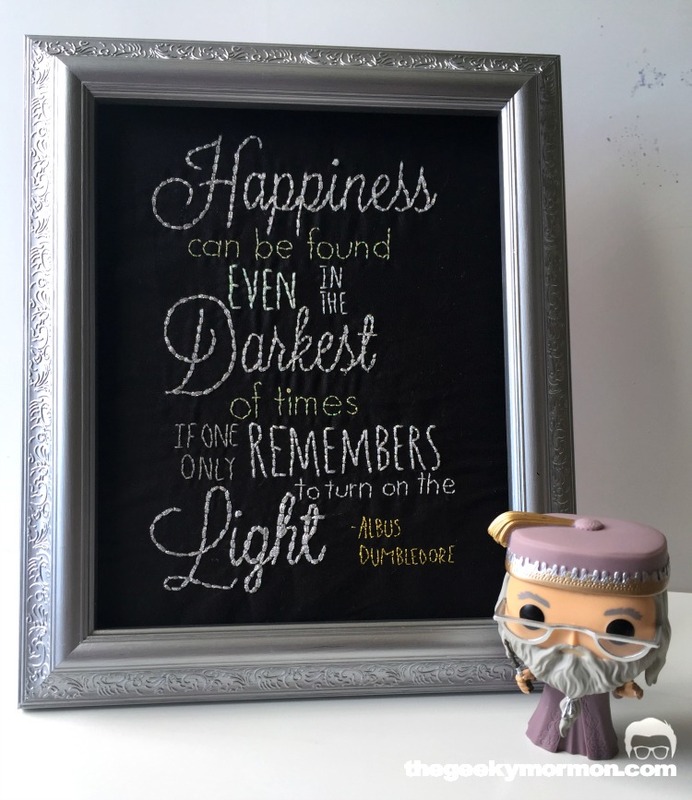 If this amazing Dumbledore Quote Embroidery doesn’t make you want to take up the craft I don’t know what will because it’s serious gorgeous! 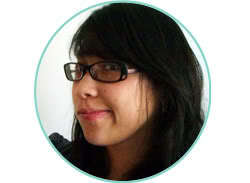 Didn’t Erica of Five Little Monsters and The Geeky Mormon do a fantastic job? And lucky you she has a printable pattern for it!